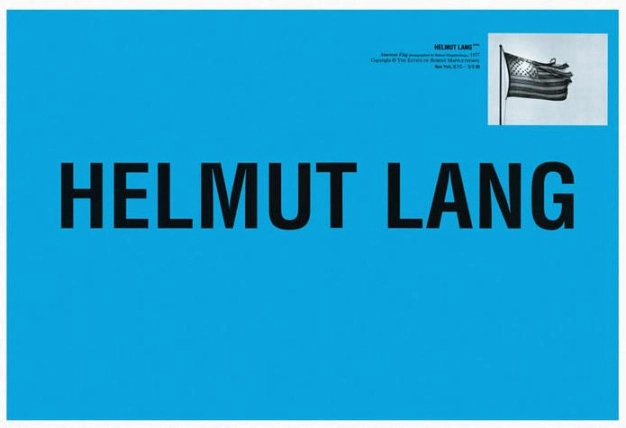 Austrian designer Helmut Lang is one of the designers who defined fashion in the ’90s with his elegant, disruptive and minimalist silhouettes. He expressed his brand’s aesthetic through photography, typography and his art-meets-fashion collaborations with Jenny Holzer and the Robert Mapplethorpe estate. No campaign captures that better than his 1997 appropriation of Robert Mapplethorpe’s self-portrait taken in 1975 from the blogpage. Featuring no clothes at all, the campaign combined the work of two visionary artists with the utmost simplicity. Clothes were often an after-thought in many of Lang’s campaigns, in this post they are entirely absent, further reinforcing the importance of concept over commerciality for Lang.